EPEL stands for ‘Extra Packages for Enterprise Linux‘ , as the name suggest epel provides additional rpm packages for RHEL , CentOS , Scientific Linux (SL) & Oracle Enterprise Linux (OLE) . EPEL is created and maintained by Fedora community and EPEL packages are 100% free/libre open source software (FLOSS). Open the terminal execute below command as a root user. 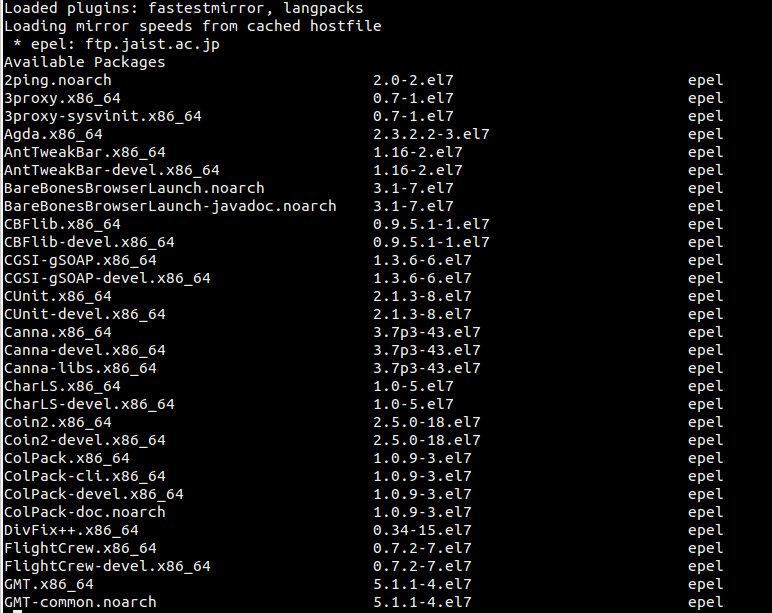 Installing package from epel repo. These all urls doesn’t work anymore please update ur portal with proper urls.